In a first for the ACF, teams of male and female cadets from Gloucestershire ACF were invited to test their Tug of War skills against Army Regular Service teams in the Army Indoor Championships held in Gloucestershire on 23 January 2014. The first events involving the cadet males were the 560kg and 600kg classes. 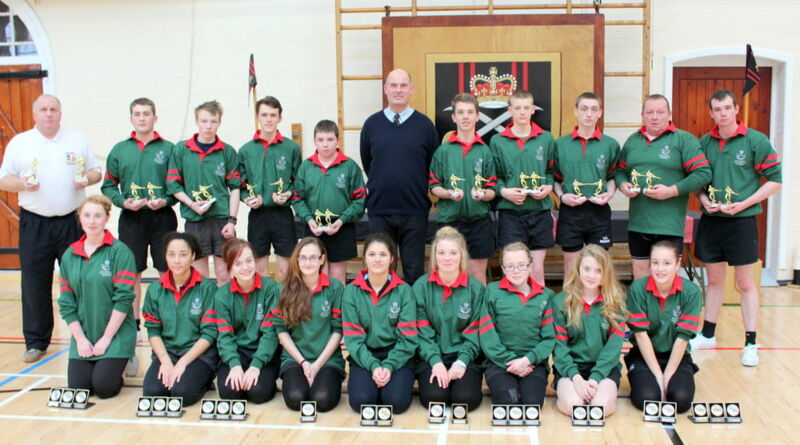 Despite many of the Army pullers being over a foot taller than the cadets the Gloucestershire ACF team gained first place in both categories. From the start, the ladies from the 19th Regiment Royal Artillery, weighing in more than 100kg heavier than the cadet team, showed their experience and weight advantage winning both the 520kg and 560kg weight classes 2-0. The final event of the afternoon was the 600kg mixed 4x4 event, which resulted in 19th Regiment Royal Artillery defeating the ACF Team 2-0.